Irena Stankova started her professional career in 1993. During her career she worked as a Project Manager, Director of Studies, Entrepreneur and Manager of EU projects. She became a training consultant and coach in 2001 and spent 11 years selling, designing and delivering training programmes, coaching and consulting on an international basis. 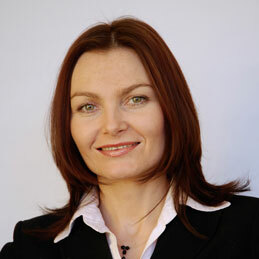 She has a Master’s Degree in Economics and studied marketing and management in Great Britain. Since January 2011, she set up her own company SOPHISTO. Irena loves helping people to grow and thrives on enhancing their effectiveness and performance. Her sales training is very energising and she is excellent at bringing the best out of people.